Disabled people may be eligible for private and Social Security benefits. 2. Can Private Disability Benefits Be Reduced by Social Security Income? Long-term disability insurance (LTDI) and Social Security disability programs are both designed to ensure that you can receive an income if you become seriously disabled. LTDI may be purchased privately or may be part of your benefits package through your employer. Social Security disability programs include Social Security Disability Insurance (SSDI), Supplemental Security Income (SSI), Medicare and Social Security retirement benefits. Income from disability insurance affects some Social Security benefits, but not others. In the event that you receive Social Security benefits, you will most likely be able to combine a portion of these benefits with your Long-term Disability Insurance. Before you can combine Social Security disability and LTDI benefits, you must be able to show that you're eligible. The eligibility requirements for private insurance differ from those of Social Security disability. To qualify for any Social Security disability programs, you must be able to prove that you are completely disabled and unable to perform any sort of work for which you are qualified due to a medical or psychological impairment that has lasted or is expected to last for at least a year. LTDI eligibility will vary from policy to policy, but is generally not as stringent as Social Security eligibility requirements. Because of this, many people who qualify for LTDI benefits are denied Social Security disability benefits. Social Security Disability Income is a government-run insurance program. If you have worked and paid FICA taxes long enough and can prove you are disabled, according to the Social Security Administration's standards, you qualify for SSDI. Eligibility for SSDI does not take accumulated wealth or passive income, such as the benefits paid by a long-term disability insurance policy, into account when determining your eligibility. Most LTDI policies allow you to continue collecting benefits after you have qualified for SSDI, but some don't. In many cases, LTDI policies will cut your benefit amount once you are approved for SSDI. Ask your insurance agent, human resources director or lawyer whether you can receive your insurance benefits and SSDI benefits concurrently and what effect receiving Social Security benefits will have on your LTDI payments. Supplemental Security Income is a program designed to help the aged and disabled who have little or no other income or resources. If you are under 65, you must prove that you are completely disabled to qualify for SSI. Additionally, the SSI agency will consider some of your resources – including bank accounts, vehicles, real estate and anything else you own of financial value – and any income streams you have, including those from LTDI policies, when determining whether you qualify. You might be able to collect SSI and LTDI benefits if your insurance policy allows it and your benefits are low enough that they don't place you over the Social Security Administration's definition of "limited income." Under most circumstances, you become eligible for Social Security retirement benefits at age 62. Many choose to wait until age 65 to claim retirement benefits because doing so provides a higher monthly income from Social Security. If you are on SSDI, your disability benefit will automatically convert to a retirement benefit when you are 65. Most LTDI policies cut off benefits when you turn 65, but there is no restriction from the Social Security Administration that would stop you from continuing to collect disability insurance benefit payments while collecting Social Security retirement benefits if your policy allows for it. Medicare is a government-run health insurance program for those 65 and older and those who qualify based on disability. 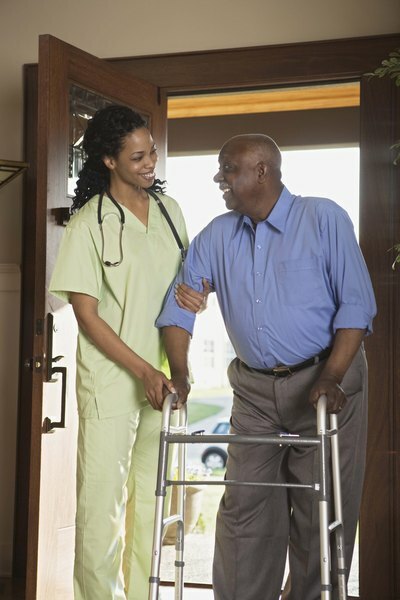 In most cases, you need to be eligible for Social Security disability benefits for two years to qualify for Medicare. Your eligibility for Medicare is not affected by your resources or income streams. As long as you qualify for Social Security disability benefits, your long-term disability insurance benefits will not interfere with your eligibility for Medicare.